"Clemens had looked forward to the day when this should be done, perhaps feeling that an assembling of his literary family in symmetrical dress constituted a sort of official recognition of his authorship." In April 1898 Frank Bliss anticipated producing three different uniform editions of Mark Twain's works with prices ranging from expensive $200 sets to more economical $50 sets. Bliss wrote to Henry Rogers that he planned to call the sets: Author's Signed Edition, DeLuxe Edition, and Popular Edition. Rogers, an enormously wealthy industrialist, continued to act as Clemens's literary agent while Clemens lived abroad. Few American Publishing Company records survive. The financial records of Henry Rogers are believed to have been destroyed after his death. Mark Twain scholar Peter Messent writes about Rogers, "His private and business papers appear to have been systematically suppressed, destroyed, or kept in private hands" (Messent, p. 147). The motive for such secrecy or destruction by Rogers's heirs remains open to speculation. Some bookkeeping records of Harper and Brothers, the company that acquired Mark Twain's copyrights from American Publishing Company in 1903, do survive but many of Harper's records are vague and open to various interpretations. Thus, the reasons behind the publishing decisions that surrounded the uniform edition projects of both American Publishing Company and Harper and Brothers must be partially reconstructed based on contemporary advertising and letters that do survive. As to the uniform editions, the history of these is as follows: In 1899-1900 we printed and manufactured as follows: Autograph Edition, 512 sets; De Luxe and Japan Editions combined, 1000 sets; a special De Luxe Edition sent to England, 250 sets; Royal Edition, 1000 sets. These were all numbered editions and were manufactured and some sold. What was left in our hands of those numbered editions, were sold to Newbegin and Co., who afterwards became known as the Anglo American Company, and for them we also published, printed and manufactured the Underwood Edition of 2500 sets, the latter portion of which edition was bound up different from the first portion, and was labeled the Riverdale Edition (Gilman, 1903). Gilman's letter indicates that production numbers were less than Frank Bliss had projected in 1898. The numbers of some of the editions are far less than previous bibliographers have realized. Limitation statements and numbers written by hand inside the volumes are misleading because some of the sets were apparently never produced to their maximum number. Larkin's letter indicates that Bliss had engaged with another company -- the R. G. Newbegin Company -- to sell the uniform editions. Historical records indicate Robert Goodchild Newbegin was born in England in August 1854. He immigrated to America in the early 1870s. His brother, John J. Newbegin, settled in Montreal, Canada and later moved to San Francisco where he became a well-respected book dealer. In April 1878, Robert Newbegin married Mary Van Dillen in St. Louis, Missouri. In the 1880 census his occupation is listed as book agent. Additional evidence indicates he worked as a representative for Gebbie Company publishers. In the late 1880s Newbegin and his growing family relocated to Erie, Pennsylvania where he worked as a manager for the mercantile agency R. G. Dun Company. The Dun Company was the first commercial reporting agency in America in the business of preparing credit reports on American businessmen and companies. The company later became known as Dun and Bradstreet. In the mid-1890s Newbegin and his family moved to New York where he was engaged in the book publishing business. According to George Gilman's letter, the total number of these sets issued was 2500. The Riverdale Edition was a numbered set with a limitation number of 625 with a handwritten number in red ink in each volume. The Underwood Edition was unnumbered but probably totaled approximately 1875 sets. In 1899 Harper and Brothers publishers were experiencing their own financial crisis and facing a possibility of collapse. Between November 1896 and August 1899 the company had borrowed approximately $850,000 from J. P. Morgan and Company. The company had incurred additional unsecured loans amounting to about $2,000,000. When Harper was unable to pay the interest on their loans, an alliance with the S. S. McClure publishing company was attempted but fell through. In November 1899 it was announced that the company had been reorganized under the leadership and management of Colonel George Brinton McClellan Harvey. J. P. Morgan gave his blessing to the arrangement. 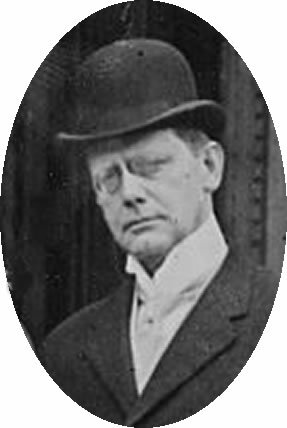 Beginning his newspaper career as a teenager, by 1893 George Harvey had risen to the position of managing editor of the New York World. His editorial support of Robert S. Green for Governor of New Jersey helped Green get elected. Green appointed Harvey to his military staff and awarded him the title of Colonel at age twenty-two. Through his association with William C. Whitney, Harvey amassed wealth in the business of developing electric trolley street railways. In 1899 Harvey purchased the North American Review magazine. Harvey was thirty-five years old at the time he assumed leadership at Harper and Brothers. His rise as a journalist and capitalist was described as "meteoric." By September 1900 Harper and Brothers had a new set of directors. Harvey had undertaken to rebuild the business from the bottom up. As president of the company, Harvey paid himself $25,000 a year -- less than ten percent of what he had earned previously through his business association with William C. Whitney. 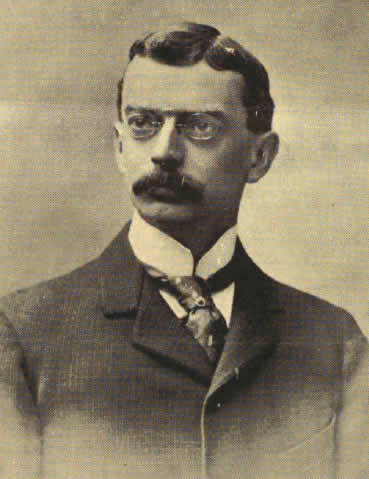 Joining Harvey at the helm of Harper and Brothers was Frederick A. Duneka, former city editor of the New York World. Duneka became general manager and secretary of the Board of Directors. Clemens was uneasy about his contract with Harper but by March 1900 he reported to Henry Rogers, "The Harper statement payable May 1, for the last 6 months of '99 (as perhaps you already know) is $3,000, and double the previous 6 months. This is a handsome and business-like improvement, 8 old books (Leary, p. 434). The "8 old books" would have been those issued by Harper in the red cornstalk uniform bindings. According to Eugene Exman in House of Harper (1967), Clemens was one of the first authors to whom George Harvey devoted his attention. Harvey visited Clemens in London in the summer of 1900 obtaining a promise of exclusive rights to future Mark Twain works. Harvey wrote Henry Rogers on October 17, 1900 proposing that Clemens autograph one hundred sheets that could be used in the year 2000 in a special edition of Mark Twain's memoirs. Harvey suggested a lavish luncheon announcing the scheme. In November 1900 Harvey signed a contract with Clemens giving Harper rights to new articles that Clemens might write paying him twenty cents a word for serial publications (Exman, p. 192). The contract was in effect until January 1902 (Leary, p. 513.). Harvey's "forte was publicity, and both his Harper success and his ultimate downfall were largely due to his spending large sums of money on luncheons and dinners and measuring his success in terms of the resulting lineage in newspaper stories" (Exman, p. 200). Under the Harvey and Duneka leadership, Harper and Brothers issued a new series of Mark Twain's works designated as Harper's Library Edition and an initial marketing strategy of selling them in sets of six designated as "Mark Twain's Best Books." These six titles were works that Harper's owned and had complete control over in 1901 even though they were also included in American Publishing Company's uniform editions. Sales strategies for the Harper's Library Edition consisted of combining them with subscriptions to Harper's Weekly, Harper's Monthly, or Harvey's own North American Review. Combining Mark Twain's books in sets and marketing them as the "Best" had the potential to create problems with the sales efforts of the American Publishing Company. And it did. Atherton, Gertrude. My San Francisco: A Wayward Biography. (Bobbs-Merrill Company, 1946). Blanck, Jacob. Bibliography of American Literature, Vol. Two. (Yale University Press, 1957). "Col. George Harvey Dies in Dublin, N.H.," The New York Times, 21 August 1928, p. 1. Exman, Eugene. The House of Harper. (Harper and Row, 1967). Harper, J. Henry. The House of Harper: A Century of Publishing in Franklin Square. (Harper and Brothers, 1912). Messent, Peter. The Short Works of Mark Twain: A Critical Study. (University of Pennsylvania Press, 2001). "New Blood for Harper and Brothers," Newspaperdom, 23 November 1899, p. 2. "New Harper and Brothers Company," New York Daily Tribune, 22 September 1900. Paine, Albert Bigelow. Mark Twain: A Biography [4 volumes]. (Harper and Brothers, 1912). Smith, Henry Nash and William M. Gibson, eds. Mark Twain - Howells Letters. (Harvard University Press, 1960).